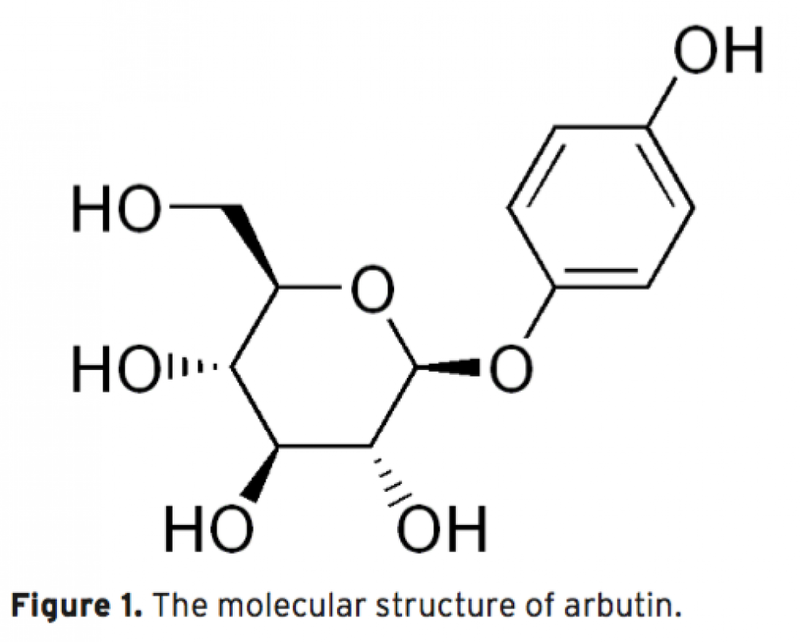 Arbutin is a naturally occurring derivative of hydroquinone. It is found in various plant species belonging to diverse families, such as Lamiaceae, Ericaceae, Saxifragaceae and Rosaceae. It inhibits tyrosinase and has been employed as a cosmetic skin whitening agent. In this study, the ultrasound assisted extraction of arbutin from Pyrus Communis L. leaves was modeled using responce surface methodology. 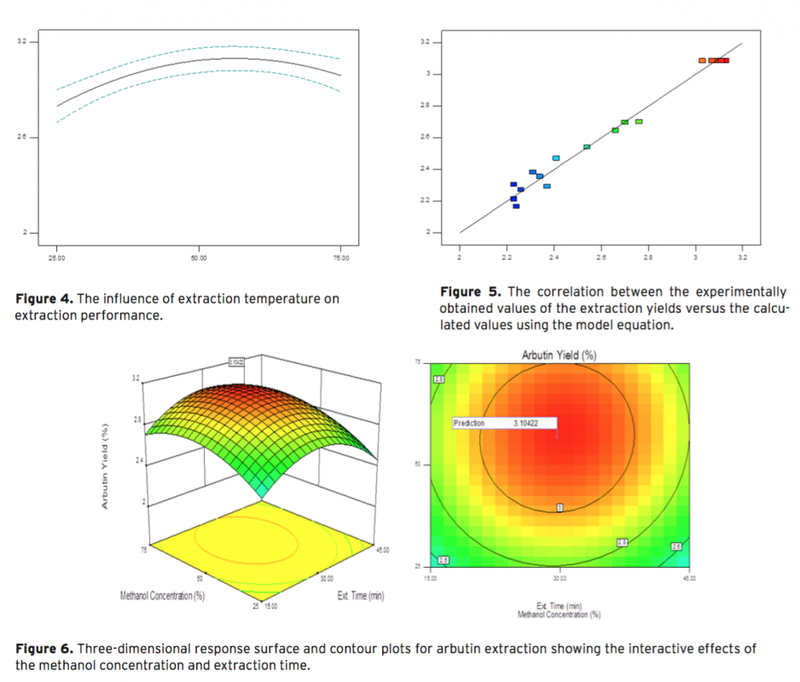 A three-level-three-factor Box–Behnken design was employed to optimize three extraction variables, including extraction temperature (X1), extraction time (X2), and methanol concentration (X3), for the achievement of high extraction yield of the arbutin. The optimized conditions are extraction temperature of 43.37oC, methanol concentration of 56.81%, extraction time of 29.66 min. Under this optimized conditions, the experimental yield of arbutin is 3.10%, which is well matched with the predicted yield of 3.12%.